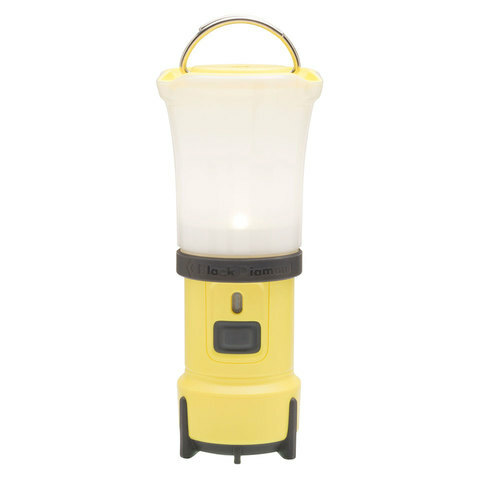 The Black Diamond Voyager Lantern will quickly become your best tool when out camping. It throws off 75 lumens of bright light and can easily be turned into a flashlight for reading in the tent or trying to finding your way to the bathroom late at night. The special Black Diamond hanger lets you clip on easily to the tent ceiling or the nearest tree limb. IPX4 water-resistant construction makes this lantern reliability even in bad weather.